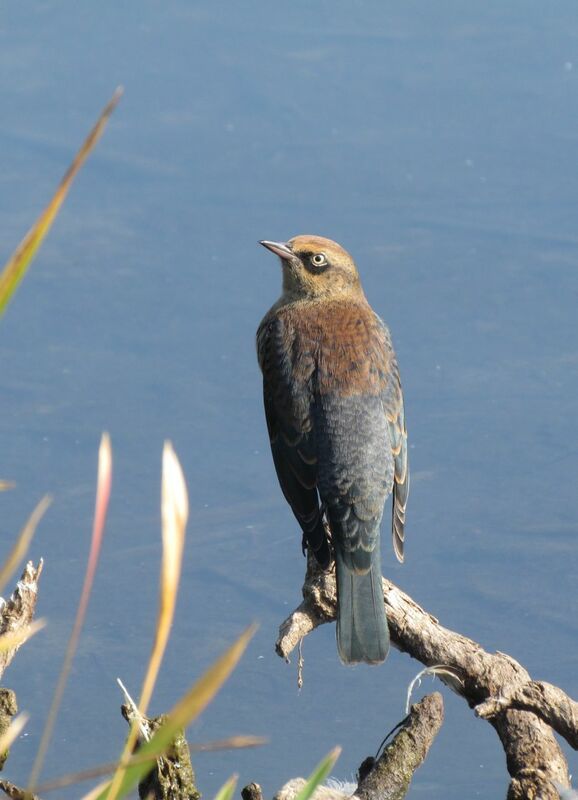 The International Rusty Blackbird Working Group has asked us to get the word out to birders about their Spring Migration Blitz. The blitz is attempting to better understand the spring migration of Rusty Blackbirds, which, as you know have experienced a catastrophic, continent-wide population decline. The Rusty Blackbird Spring Migration Blitz challenges birders to scour the landscape for Rusty Blackbirds during the birds’ northward migration. 38 states, 9 provinces, and 3 territories will participate in this international effort to find Rusty Blackbirds; each region is assigned a set of target dates during which local birders will seek this elusive species. It’s easy to participate – bird as you normally do during the province’s target dates, and submit data to eBird using the “Rusty Blackbird Spring Migration Blitz” observation type. Interested in learning more about Rusty Blackbirds, or want to learn more about the province’s Blitz efforts? Use the Migration Blitz website http://rustyblackbird.org/outreach/migration-blitz/ to find out the target dates for this region, learn more about Rusty Blackbird identification, and get more details about Blitz data collection and submission.